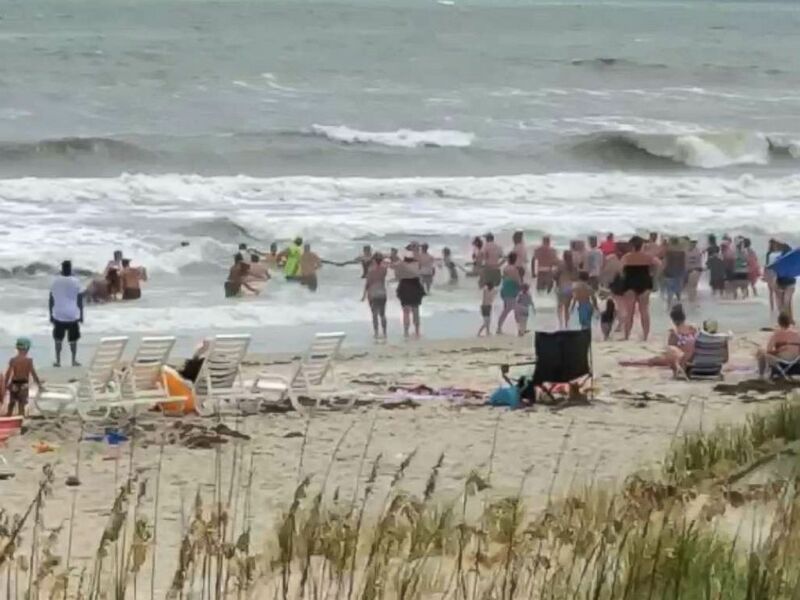 Beach-goers in Emerald Isle, North Carolina, formed a human chain to rescue swimmers from rough surf on Wednesday, video showed. The Town of Emerald Isle urged people to stay out of the ocean due to dangerous surf conditions after a 41-year-old man drowned. The town began warning people on Sunday about the red flag conditions. Confirmed drowning in Emerald Isle this afternoon. Dangerous surf conditions continue in Emerald Isle, RED FLAGS remain in place, and public should stay out of the ocean until further notice. Please don’t put yourself, others, and our emergency responders at risk unnecessarily. 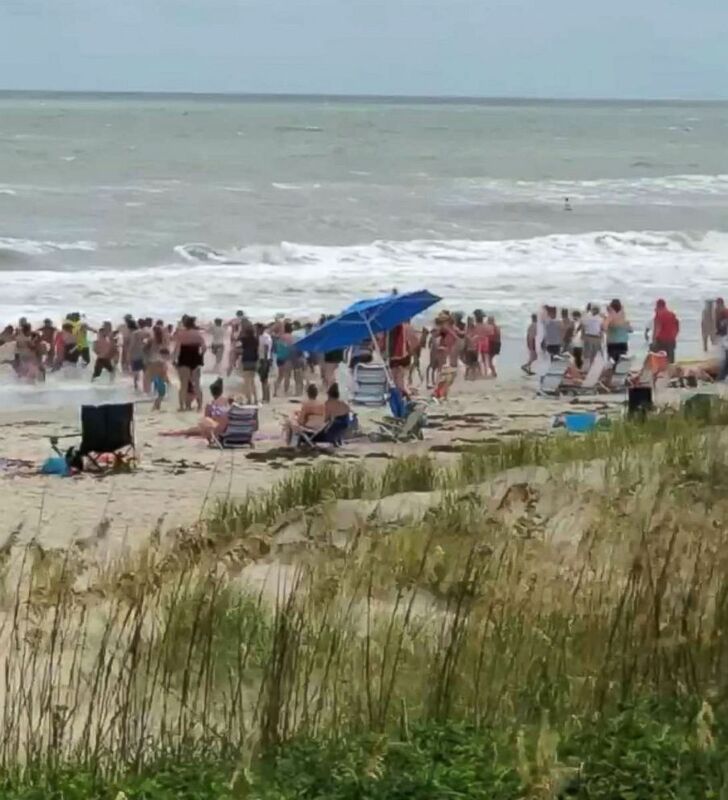 Video taken by witness Shane Gentry shows dozens of people as they link arms on the shore, ushering people to safety. Beach-goers in Emerald Isle, North Carolina, formed a human chain to help get swimmers out of the rough surf. Lifeguards and the fire department also had to rescue several individuals from the ocean, a town official told ABC News. The official hypothesized that people wanted to take advantage of the sun after rainy weather plagued the area. "The sun came out," the official said, "and I suspect that some folks had cabin fever, despite red flags."